We offer a wide range of Computer, Laptop, Desktop, and Chip level Services. PC or any other type of computer equipment broken Don't worry we are able to fix just about anything. Just give us a call and we will fix it! 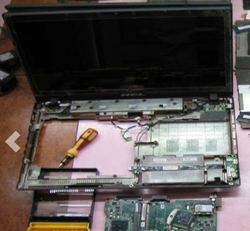 We provide Chip Level Hardware Repairing services for Laptop Desktop including Motherboard, SMPS, UPS, Monitor, Graphics cards etc. Operating System Update / fresh Installation, Virus cleaning Data recovery. Computer and CCTV Networking, Server installation maintenance services.